Vendor Guide by MODwedding is the perfect wedding vendor directory for wedding professionals to meet their next potential clients. With our reach of over 1 million brides, we provide a platform where you can introduce your business, showcase your work and connect with real couples around the world. More that just a wedding vendor directory. We show off the fruits of your labor with a beautiful photo gallery, videos and a bio of your business. Brides can easily connect with you through links to your website, social media channels and your contact information. Our Membership Concierge will be at your service to create the Member Portfolio page for you. 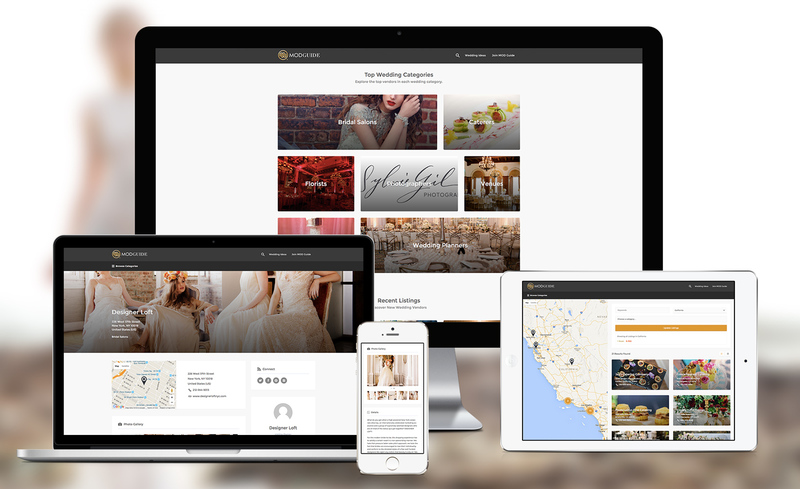 Gain exclusive access to submit Real Weddings and Planning Tips. As an approved Vendor Guide member, you are qualified to become a contributor to MODwedding. Submission features are subject to Editor’s approval. Introductory Facebook blast to promote your listing to our 930,000+ followers. $199/year for one listing in location and service category of your choice. Memberships require a 12 month commitment. Bundle package rates available. We look forward to having you join the MODweding family. A MODwedding representative will be in touch shortly.